Caucasian species with dense heads of sulfur yellow flowers. 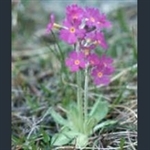 Primula luteola comes from the Caucasus, and has a rosettes of dark green leaves, with upright stems carrying dense heads of sulfur yellow flowers. It is much large than most members of the section, and unusually does not have farina on the leaves. 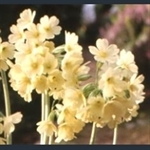 The oxlip; upright stems with clusters of pale yellow flowers. 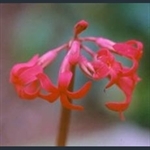 Head of quite large flowers, bright pink. Umbels of nodding bright red, tubular flowers with open lobes. Stunning. 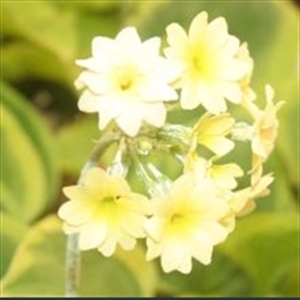 Magnificent primrose hybrid with brilliant pink flowers with white petal stripe. Wonderful spidery solitary flower above a single whorl of leaves.